BMW has been a partner of the world famous Art Basel in Miami for years now and the collaboration between the two is entering a completely new phase this year with the unveiling of a flying sculpture. FRANCHISE FREEDOM is a sculpture put together by the people from Studio Drift and it definitely is an innovative take on what shapes art can take if you’re creative enough. In addition, the new work of BMW Art Journey winner Max Hooper Schneider will be on display at the BMW Lounge. FRANCHISE FREEDOM – a flying sculpture by Studio Drift in partnership with BMW” is a performative artwork at the interface between technology, science, and art. 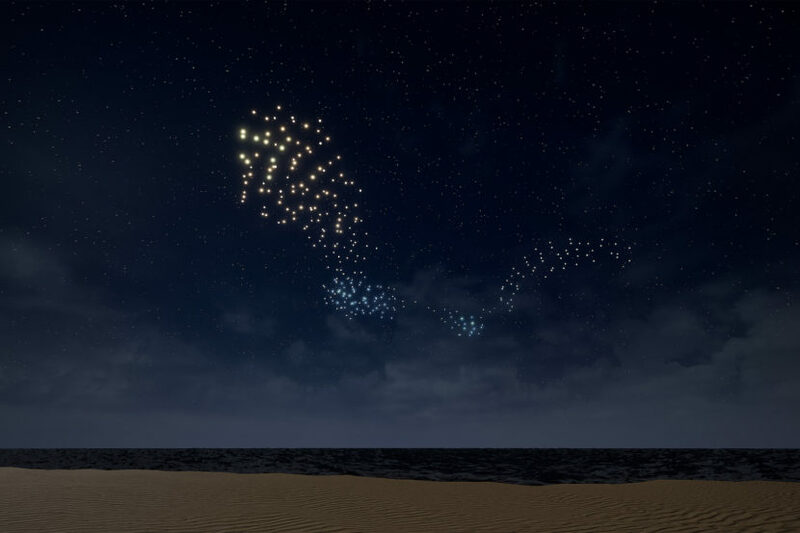 An autonomous flying swarm of 300 drones, each equipped with a light source, will imitate the natural phenomenon of a flock on December 6, 9 PM on the beach of Miami above the sea between 32nd and 33rd Street off Collins Avenue behind the Faena Hotel Miami Beach. 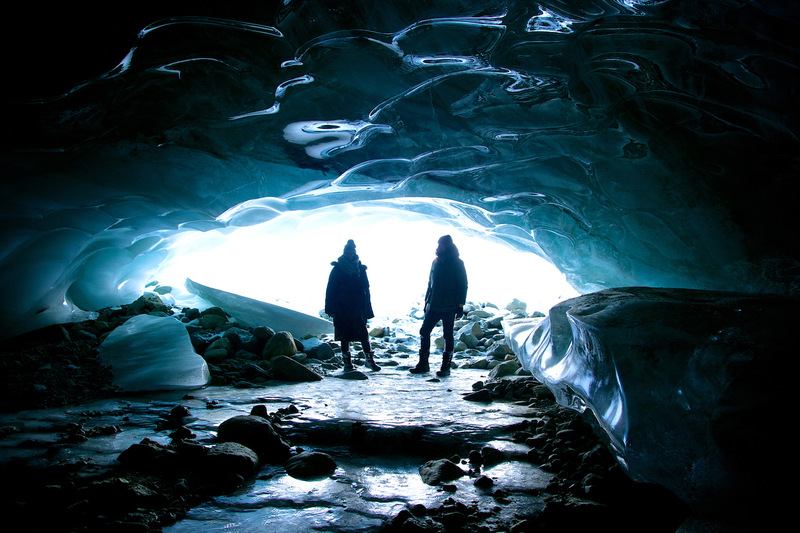 Lonneke Gordijn and Ralph Nauta, founders of Studio Drift. This is the first time that a flock on this scale is presented by machines working with decentralized algorithms. Inspired by the spectacle of starlings clustering together in massive flocks and exposing the tension between individual freedom and safety in numbers, Studio Drift questions the delicate balance between the group and the individual. Studio Drift’s first research on this project dates back to 2007. To create “FRANCHISE FREEDOM”, Studio Drift studied the natural flight patterns of starlings and translated them into software that were specially developed and embedded in the drones. “We were impressed by the courage of BMW to get involved here, as an artwork of this scope and scale has never even been tested before. They believed in our idea because they fully comprehend how complicated and intricate those innovative processes are,” says Lonneke Gordijn, co-founder of Studio Drift, Amsterdam. “Studio Drift and BMW both subscribe to a symbiosis of innovation and beauty. I congratulate Lonneke Gordijn and Ralph Nauta for the perseverance in turning their endeavor into a reality. ‘FRANCHISE FREEDOM’ is both a technological wonder and an aesthetic experience to behold,” said Hildegard Wortmann, Senior Vice President Brand BMW. BMW has a 50-year global track record of recognizing and enabling talent in the arts. The company makes artistic visions come true and honors the full creative freedom of any artist or institution they collaborate with. When Studio Drift sought a dialogue with BMW in regard to their ambitious project, the company, as long-term partner of Art Basel, could not pass on the challenge. For the period of over half a year, discussions ensued between BMW and Studio Drift – just as they did with artists like Jeff Koons, Olafur Eliasson, and Cao Fei beforehand.